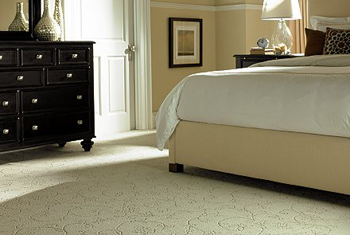 When choosing carpet there are many factors you need to keep in mind such as carpet style, fibers, patterns and whether or not you need stain proof carpet. Here are some descriptions of carpet types that may help you. Need easy to clean and long lasting carpet? SmartStrand by Mohawk was rated highest in satisfaction for maintenance and durability. SmartStrand is easy to clean and even rated #1 in cleaning and durability criteria by consumers. It’s very dirt resistant, odor resistant, spill resistant, and stain resistant. Additionally it’s rated #1 in the following durability criteria: wear resistance, maintaining original appearance, and protection from crushing or matting. These days many people tend to create their own do-it-yourself home improvement projects. Where carpet is concerned, we highly recommend our professional installers to make your home look great. If you want quality and satisfaction for years to come, rely on us, Floors & Kitchen to install your new carpet correctly and beautifully. In preparation for your installation, we will speak with you about what may need to be done ahead of time to ensure a fast and complete installation of your new carpet. 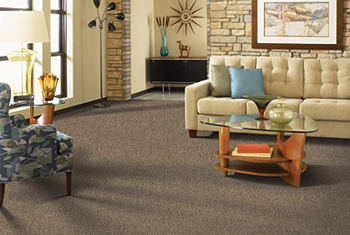 Give us a call today, or stop by our showroom to pick your new carpet and set a date for installation.